At South City Ciderworks we made giving back a key part of our company mission. By donating to each of the organizations below we're able to impact the San Francisco Bay Area and beyond. If you're interested, these organization have some great programs that make helping fun. You can check them out using the Learn More links below. Since 1974, Samaritan House has been serving low-income families and individuals throughout San Mateo County. With the help of thousands of volunteers and donors every year, they help meet the basic daily needs of more than 12,000 individuals in our community by providing food, shelter, clothing, healthcare and multitude of other services. 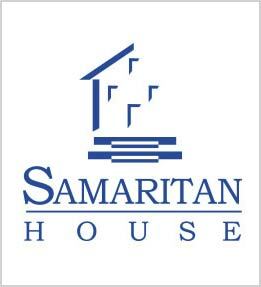 They have recently launched a group called the League of New Samaritans It includes young professionals hailing from all corners of San Mateo County, brought together by a common commitment to supporting Samaritan House and the incredible services and resources they provide to those in need in our community. Previous events have included a Holiday Helper Happy Hour, Secret Cinema, a Thanksgiving Food Drive, and Toy Giveaway. Come grab a drink and meet others who are making a difference! Peninsula Humane Society opened its doors in 1950 and serves the San Mateo County community with the following services: animal adoptions, lost and found, animal control, cruelty investigation, community outreach/education, wildlife rehabilitation, spay/neuter, pet loss support groups, and their Hope Program that helps the neediest shelter animals with medical and/or behavior problems. 1% for the Planet is a nonprofit organization that connects dollars with doers. They link businesses that contribute at least one percent of annual sales with high-impact environmental nonprofits. They help create partnerships that protect the planet. They collaborate with member businesses to identify where they can invest dollars that meet the business goals, and they certify that every dollar contributed goes to a vetted, trusted environmental nonprofit. Their members have given tens of millions of dollars to the environment, and their nonprofit partners are doing the hard work of restoring our planet for the future. Their goal is to not only direct business giving toward environmental causes, but to increase the overall amount of global dollars going to help protect the planet.